Steve Vai’s iconic guitar tone has been an inspiration for guitarists around the world for a few decades now. There’s something about the creamy sustain in a song like ‘For the Love of God’ that just sounds like it would be bliss to play with. But Steve Vai’s guitar rig is just as complicated as his guitar playing. His constantly evolving rig is quite complicated as you will see. It’s impossible to nail exactly what makes that Vai tone based on his live rig. In this guide my goal is to give Beginner and Intermediate guitarists a nice simple overview of Steve Vai’s tone, effects and pedals. With this information, you can decide what type of effects you want to incorporate into your rig and what aspects of Vai’s tone you want to emulate. At the end of this guide I will list three different rigs you could put together to give you a good foundation for playing along with Vai’s music. These responses were pulled from actual forum threads asking this question. While there is truth in many of these replies, these aren’t helpful answers. Not helpful at all. Yes, tone is all in the fingers and what you play is far more important than the gear you play it on. But this is a website about guitar gear, so talking about technique is out of the scope of this guide. This guide’s goal is to explain the gear and effects to get you closer to Vai’s tone. Also it’s important to learn how Vai uses effects to enhance his tone. Of course you’re not going to magically sound like Steve Vai just by buying a few pedals or changing your amp, but you can definitely learn a lot by analyzing Steve’s rig. I’ve only seen Vai play live a handful of times over the years (thanks to living in Australia) and what surprises me is how inconsistent his tone has been over the years. The first time I saw him his tone was so bland and dry that it almost didn’t sound like him at all. The second time I remember it was horribly compressed and overly saturated. The most recent tour (The Story of Light tour) the tone was spot on and exactly the tone you imagine when you think of Vai. The point here isn’t to criticize Vai, but to show how much your gear choices do matter. The first show it felt like Steve was playing on somebody else’s rig. It was still him in style, phrasing and technique, but the tone itself didn’t have that Vai feel. So while you will often hear people say that Vai can play on any rig and still sound like Vai, that’s not completely true. Gear matters quite a lot. So from here until the end of this guide, let’s forget about technique and focus on gear. I’ll break down Steve Vai’s guitar rig and talk about how each part plays a role in his overall tone. At the end of this guide I’ll give you some tips on how to think about Vai’s playing style and how to get started with technique. If you’re a Vai fan I probably don’t need to talk much about his main guitars. 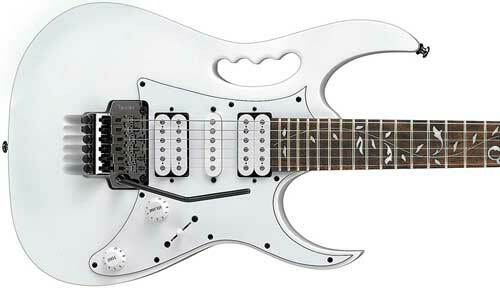 The Ibanez JEM is iconic among guitarists. While a JEM alone wont instantly give you a Vai tone, it will definitely give you the look. If that’s the look you want to go for, there are quite a few models out there to consider. They come in a wide range of prices from reasonable to very expensive. 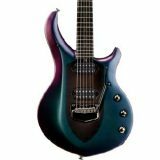 For example, the Ibanez JEM JR (check out price and details on Amazon) gives you the typical Tree of Life fretboard inlay, a Wizard III Maple Neck, jumbo frets, and mahogany body. All for quite a reasonable price. The chances are you probably don’t want to shell out serious money on a signature Vai guitar. In that case, what are your options? Dual humbuckers – remember you can always upgrade your pickups later on if you’re unhappy with them. So don’t stress too much about stock pickups. But if your guitar comes with single coil pickups, it’s not going to give you the right starting point. Floyd Rose style Double Locking Tremolo – this is key to achieve a lot of the crazy sounds Vai creates. While you might get away with other tremolo bridges, you really need a double locking trem. These allow you to push the bar down as well as pull it up. Without one, you’re going to be limited as well as frustrated with your guitar regularly going out of tune. The above features are key to being able to play many Vai songs. So if you’re looking at upgrading your guitar, make sure whatever you choose meets those minimum features. The two little black switches on the guitar’s body are the toggle switches for the sustainer. In the above photo, he has the sustainer turned on in the harmonic mode. This means a harmonic will automatically ring out over any played note. Simple trick, but a lot of fun. Not many Vai fans go to the length of installing a sustainer into a guitar but if you do, it really does open your playing up to playing in new ways. A great example of the sustainer in action is the song ‘Whispering a Prayer’. The only way you can get that song to sound right is to use a sustainer. Without the sustainer, it just won’t sound or feel right. I installed a Fernandes Sustainer FSX-101 into one of my guitars and while some guitarists may feel it’s a gimmick, it’s a source of inspiration for me. Although if you’re not confident with routering and soldering, you may want to skip this. See if your local guitar shop has any guitars with a sustainer installed to get a feel for what it’s all about before you even consider buying one. For me, a sustainer is a pretty crucial part of Vai’s style. Only a couple of songs really require the sustainer to play and there are quite a few songs where you can play without one. But the sustainer really does make a big difference. Songs such as ‘Building the Church’, ‘Mullach A’Tsi’, ‘Lotus Feet’, ‘Windows to the Soul’ are enhanced by the sustainer in ways that only becomes apparent when you play with one. So if you want to get closer to the tone and style of those songs, consider using a sustainer. It’s also worth talking about 7 string guitars. Steve Vai has played a big role in bringing the 7 string into popularity thanks to developing the Universe with Ibanez. If you like tracks such as ‘The Riddle’, ‘The Audience is Listening’, ‘Oooo’ or ‘Weeping China Doll’, the only way you’re going to be able to play those tracks properly is with a 7 string. It’s also worth mentioning that there are quite a few earlier songs where Steve played the song on a 7 string but didn’t use the lower range (eg: most of the Passion & Warfare album). So Steve has and still does play a 7 string very often on his recordings and live. As I’m a big Vai fan, it became clear to me very early on that I would need to get a 7 string to be able to play a lot of the songs I enjoy listening to. Getting a 7 string expanded the range of Vai’s songs I could play as well as helped me further analyze his playing style. 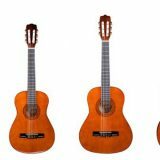 Fortunately, a massive range of 7 strings are available today with many models at very good prices. You may find that a different model such as an Ibanez RG suits your style and budget far better than a Universe. Just make sure it meets the minimum requirements listed above and you’ll be good to go. Vai’s answer on what strings he uses seems to change in every interview. In the video shown later, he mentions he uses Ernie Ball 9-42 Cobalt. In past interviews, he mentioned how when he starts a tour he will use incredibly light gauges such as 7s and work his way up in gauge as the tour progresses. My recommendation with strings is to use strings that feel light under your fingers. You want to be able to bend the strings with ease using one finger and control it enough to add smooth vibrato to any bend. So whether you use 10s, 9s or anything lower should depend on what feels right to you. I recommend starting low and raising the gauge if it feels too light. Find the right type of strings for you and learn about different aspects of strings such as metals, gauge, coatings, windings, and more in this guide: Ultimate Guide to Guitar Strings. If you want to try and emulate Steve Vai’s tone, I recommend ignoring the exact type of amps he uses. I know that sounds strange, but I’ll explain. Steve uses a wide variety of amps on his albums and his live rig is a complicated setup with multiple amps. So it would be a mess to try and explain how they’re used in a guide aimed for beginners and intermediates. 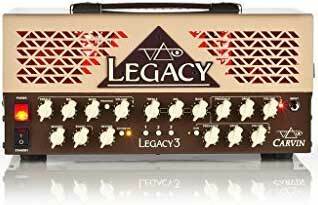 The reason why I don’t really feel that the exact amp Steve uses is important in getting his tone is that a lot of Vai fans who have bought a Legacy amp over the years didn’t end up liking the tone it produces. It doesn’t even make it easier than other amps to emulate a Vai tone, so I don’t feel it’s that essential to his tone. Even if you wanted a Carvin Legacy, Carvin stopped manufacturing amps in 2017. But one thing I do feel is essential to getting a Vai tone is to run a stereo rig. Whether you choose to buy a stereo guitar amp or run two separate amps (like Steve does), running a stereo rig is key to getting closer to a Vai tone. Apart from those two features, get an amp that you like the feel of. Don’t buy an amp because somebody tells you it will give you a Vai tone. Buy an amp you enjoy the sound of. While the guitar and amp you use will certainly play a role in your overall tone, when it comes to Vai it’s the effects he uses that really shapes his tone. Whether he’s using some crazy sounding ya-ya effect, pitch shifting using a whammy or even his use of delay, it’s the effects that helps capture that Vai feel. In this guide we will stick to the main effects and pedals needed to get a Vai tone. There are plenty of other effects used throughout Vai’s career, but let’s start with the basics. Finding the right distortion or overdrive is a big challenge with Steve’s tone. Compare Steve’s albums and you will hear how his drive tone has changed over the years. Distortion or overdrive plays a huge role in the type of tone you produce which is why it’s so confusing in Vai’s situation. The Jemini sounds great doesn’t it? Unfortunately, as a lot of Vai fans have found out, it won’t instantly give you a Vai tone. For example, when Steve plays the guitar on the right, he’s using the amp’s drive tone and the Jemini only adds more dirt to it. So if you plug a Jemini into your clean amp, you’re not going to get the same result. The Jemini is essentially an Ibanez Tube Screamer (an overdrive) and a BOSS DS-1 (distortion) joined together. So Steve uses some sort of combination between his amp’s drive, an overdrive pedal and a distortion pedal. To make all of this a bit simpler, let’s go through how to figure out what type of setup is best for you. Watch the video again and think about which tone you prefer. Do you prefer the tone of the guitar on the left or the right? This guitar uses the amp’s clean channel and the Jemini’s distortion. As Steve describes, it gives a more ‘hairy’ tone. 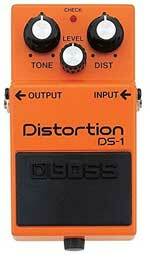 So if you prefer this tone, you may want to consider buying a distortion pedal like the BOSS DS-1 and use your amp’s clean channel. This guitar uses the amp’s drive channel and the Jemini’s overdrive. It produces a smoother overall tone. As Steve explains, his amp is set to produce quite a lot of distortion and the pedal is basically used as a boost for solos. So if you prefer this type of tone and you’re happy with your amp’s drive tone, you may want to get an overdrive pedal such as the Ibanez Tube Screamer (I recommend the Mini) or the EHX Soul Food which are both excellent overdrives. But the key here is that you’re only using the pedal to add more to an already distorted tone. 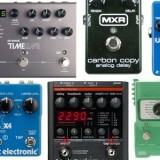 So the choice between which pedal to go for depends on your amp’s drive tone and what type of tone you want to achieve. Alternatively, you get both pedals and switch between the different tones as Steve does. Vai is sometimes criticized by guitarists for using too much compression. As mentioned at the start of this guide, in one concert I also felt there was way too much compression on Vai’s tone to the point where it was completely squashed. So while compression can be abused, it is a useful tool in shaping your tone. Vai uses a compressor to keep his levels consistent as well as help him deliver that smooth sustain he is well known for. While a compressor pedal won’t magically give you sustain if your guitar has poor sustain, it can improve your overall sustain levels. Think of compression as the icing on the cake that edges you just a bit closer to that Vai tone you’re after. You can still produce great tone without it, but it certainly plays a big part in getting the right feel. Vai doesn’t use an individual pedal for compression as he probably used expensive rack units over the years. For live use, he probably uses his Axe-Fx unit. To find the right compressor pedal for you, have a read through my Ultimate Guide on Compressor Pedals. It will explain how compressors work, when to use them and go through some of the most popular compressor pedals available today. If you look at photos of Steve’s pedalboard, you will almost always see either an MXR Phase 90 (orange) or an MXR Phase 90 EVH (red with black & white stripes). This is an important part of Steve’s tone. Play one of his songs without the Phase 90 and it will likely feel like it’s missing something. If you’re aiming for Steve’s typical lead tone, the Phase 90 is an important component to add to the mix. When looking at the differences between the pedals, there really isn’t much to consider. The orange Phase 90 has a slightly more mellow or smoother sound (in my opinion) compared to the EVH. The EVH does have a button to choose between a more vintage sound and a modern sound so it does give you more flexibility than the orange Phase 90. The only other difference is the price with the EVH significantly more expensive. If you’re an Eddie Van Halen fan, you probably want to go for the EVH model. Otherwise, the standard Phase 90 will do basically the exact same job at a lower cost. Some of the most interesting moments (in my opinion) on a Vai record are when he uses pitch shifting effects. Songs like ‘The Blood & Tears’, ‘Touching Tongues’, ‘Building the Church’ and ‘Weeping China Doll’ all make use of pitch shifting in one way or another. Steve uses the Whammy pedal in a very musical way rather than just as an effect like Tom Morello does. In the earlier video you will see a Digitech Whammy DT which I reviewed here. You will also see an expression pedal labelled Whammy which connects to Steve’s Axe-Fx unit. So while he probably uses the Whammy DT for recording, when playing live he uses the Axe-Fx for his pitch shifting. There are also moments in his albums where there are harmonized guitars which you can reproduce using a Whammy pedal set to harmony mode. For example in ‘The Animal’, the main rhythm riff uses two guitars – a 6 string and a 7 string playing a fifth lower. With a Whammy pedal you can play both parts on your six string by setting the pedal to create a harmony a fifth lower. 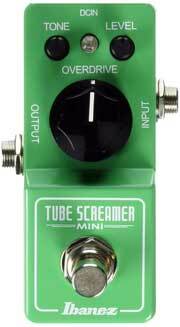 I recommend the Whammy DT over other Whammy pedals as it will give you far more flexibility. In addition to the typical whammy pitch shifting and harmonizing, you can use the pedal to step your tuning up or down. So if you want to play a song like ‘Gravity Storm’ which is tuned a whole step down, instead of switching guitars or retuning, you could simply use the pedal to drop the pitch a whole step. When you’re using a guitar with a Floyd Rose tremolo, this feature becomes very handy. I especially recommend getting a Whammy pedal if you’re a beginner or intermediate as it will help you learn about intervals and harmony – which plays a big role in Vai’s music. 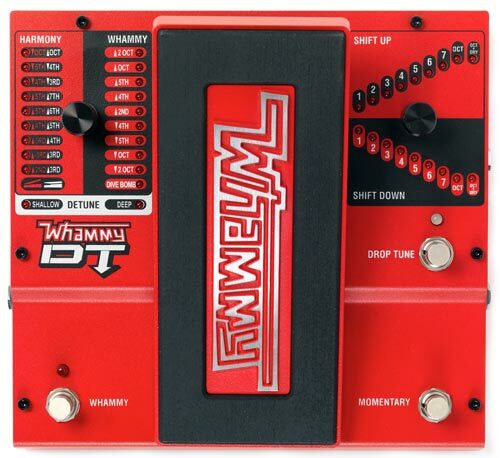 Check out the Whammy DT’s price and details here. Steve’s signature wah pedal is a Morley Bad Horsie 2 Wah. 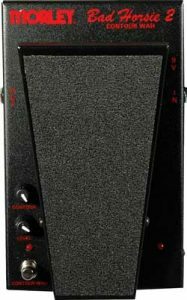 The feature I love about this wah is that you don’t need to manually engage or disengage the way by hitting a footswitch by pushing the toe down. When your foot is off of the pedal, the wah is bypassed. When your foot is on the pedal, it is engaged. It’s as simple as that and works extremely well. I often practice while sitting down and quite a lot of pedals require a lot of force to engage the wah which is difficult when sitting. So if you mainly play sitting down at home, it is a nice feature. In terms of sound, the Bad Horsie 2 is great and has a good following. If you already have a wah, there’s really no need to switch over. But if you’re yet to buy a wah and are a Vai fan, it’s a good pedal to go for. The contour feature allows you to tweak the sound which is a nice feature missing in so many other wahs. It’s only a minor aspect to Vai’s rig, but he does use a volume pedal. 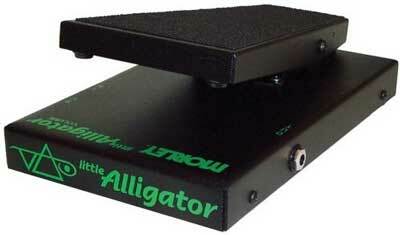 His signature pedal is a Morley Little Alligator Volume. It doesn’t really matter which volume pedal you get as they all do the same basic job. Think of this as an optional feature. Most guitarists won’t have much use for it, but it is a quick and easy way to experiment with different techniques such as volume swells or gives you a way to control your overall volume or gain (depending on pedal placement). Vai uses delay to thicken up his lead tone and add some ambiance like many other guitarists. But he also uses it in rhythmic ways that can really add to a song. Have a listen to the solo in ‘The Boy From Seattle’ for a great example of how delay can be used in interesting ways. Vai now uses his Axe-Fx unit to control delay and previously he used a TC Electronic G System. Over the years he has been seen using a variety of individual delay pedals. 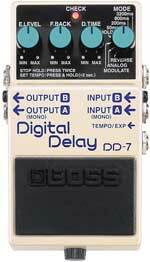 For example, at one point Steve was running two BOSS DD-7 delays to send to his two amps. 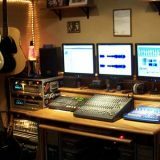 The idea here is that with two delays he is able to tweak and experiment with each one and how it affects his stereo sound. For example, he might run the left delay at eighth notes while the right delay at dotted eighth notes to create an interesting rhythmic stereo bouncing effect. Or he might set one delay with a slightly lower feedback time so the difference between the delays increase as the note repeats. While I don’t think it’s crucial to take it this far, using delay in a stereo rig does play a big role in Vai’s tone. So the main point to take away here is that you want to use a stereo delay pedal that gives you different types of stereo delays or use two separate pedals. It’s the stereo bouncing back and forth of the delay signals that really adds to the Vai feel. My recommendation if you really want to go deep with delay like Vai does is to use a TC Electronic Flashback Triple Delay. This pedal allows you to play multiple independent delays at once. It’s essentially three delay pedals joined together. 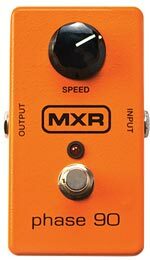 A single delay pedal won’t let you achieve the same effects this pedal offers. Just be sure whatever delay pedal you buy, make sure it is stereo. Even if you don’t have a stereo rig now, if you want to play around with a stereo rig later on (highly recommended), it’s going to be frustrating if your delay pedal isn’t stereo. There is an alternative to all the above pedals mentioned. Over the years Steve has used different effects systems for his live rig as a way to help him avoid constantly tap dancing on individual pedals. A TC Electronic G System was used for quite a while and since around 2010 he has been using an Axe-Fx II by Fractal Audio. In the Rig Rundown video earlier Steve talks about how the Axe-Fx unit basically replaces the majority of his pedals. While many of the latest multi-effects units available today will give you all the effects needed to play Vai’s songs, I recommend trying to aim for a high-quality unit if you want to go down the multi-effects path. 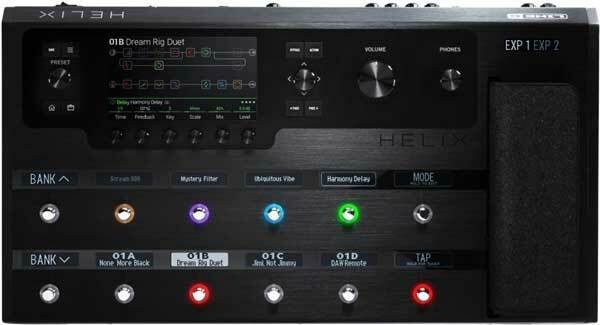 I’d suggest the Line 6 Helix as it’s an incredible unit. The Helix was designed to compete against the popular Axe-Fx and has the advantage of giving you the option of a floor unit. One suggestion if you do choose to go for a multi-effects unit is to make sure the unit you buy includes an expression pedal and has the ability to add another expression pedal. Having two expression pedals will give you far more flexibility than one pedal and trying to jump between a whammy, wah or volume control. For most guitarists, individual pedals are probably the better option. Steve needs to change between complicated effects setups quickly in every song so for him the Axe-Fx is ideal. But if you’re playing at home, you won’t be under the same time pressure and can easily turn multiple pedals on and off as needed. I’ll start by listing one possible rig that a beginner could buy to put you on the path to Vai tones. With this as a starting point, you can then decide which items you don’t need and which ones you do. The idea with the below rig is that it covers all the important bases (eg: Ibanez with a Floyd Rose, stereo amp, etc.) while keeping the cost very low. With some items it just makes sense to buy the real deal such as the Phase 90 rather than buy a cheaper product that doesn’t do the job properly. I’ve listed an option between a 6 string JEM and a 7 string Ibanez RG. They both cost the same so it really depends whether you want to play a 7 string or not or whether you want the Jem look and feel. When you consider how much is included in this rig and how versatile it can be (not just for Vai songs), it’s a pretty good rig. If you already have a suitable guitar or amp, it will cut the cost right down. Upgrading the guitar alone and keeping the rest of the budget rig will be enough for many people. But let’s take it bit further to give you an idea how a more elaborate rig can open up more possibilities in your playing. The first thing that probably stands out with this rig is that it uses 2 combo amps. For most people it’s overkill, but the advantage of having two separate amps is that you can physically separate them on opposite sides of your room to really enhance the stereo effect. While a stereo amp on it’s own sounds fine, you really only get the full effect when you have two speakers at a distance from each other. Think of it like switching from a TV’s built in speakers to a proper surround sound system. My suggestion is to use your existing amp and buy another similar sized one to run as the other output. You’ll be surprised how amazing two different sounding amps are when blended together in stereo. The only other point worth mentioning is how much of a jump the guitars are from the budget options. Again, the 6 and 7 string options are the same price so it really depends if you want to play a 7 string or get a Jem. At this price range you’ll find that the Jem really is an upgrade from the previous options in terms of quality. Most guitarists probably don’t have any desire to push things further than the mid-range rig suggested above. It’s a great setup that gives you a lot of flexibility. But let’s look at what happens when you take it to the extreme. After all, this is Vai we’re talking about! Note that half of the reason why the total cost is so much higher is that it assumes you buy both a 6 and a 7 string for the rig. If you can justify spending this kind of money, enjoy! The other big change with this rig is the amp. Using a Carvin Legacy head with two cabinets is essentially how Steve runs his rig (without extra amps as monitors). 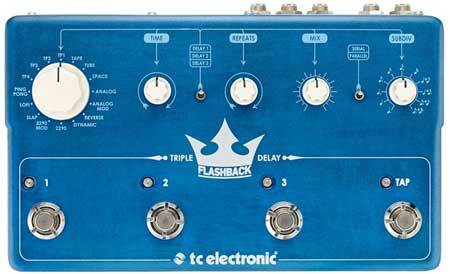 The Flashback Triple Delay also means you can experiment with running multiple independent delays at the same time and enjoy a wide stereo soundscape. While having the right gear in place is a good start, learning how to make full use of it and match different effects you hear in different songs takes a bit of work. This has already become a massive guide so I’ve pushed the technique tips to a separate guide. Read through 7 Tips on Playing like Steve Vai here to work on your technique, licks and creativity. The advice in that guide is taken from various interviews Steve has done over the years. Now that you have a solid understanding of Steve’s rig, the tips in that guide will help you put it all to good use. As Steve Vai makes heavy use of a wide range of effects in different ways, learning more about how different effects work together can help you get creative. Find out all about the most common effects used by guitarists, how to combine them and use them in your rig in this comprehensive course on guitar effects. Steve Vai’s music may be complex, but once you learn the techniques he uses, it’s a lot of fun to jam along with his songs. I have quite a few students who take lessons with me to learn how Steve Vai writes his music, how to improvise like him, or to learn some Steve Vai licks and solos. If you’re interested in learning how Steve Vai uses his gear to inspire his songwriting, how he uses modes such as the Lydian mode to change the feel of his music, or you just want to learn how to jam along with his official backing tracks, you might enjoy taking Skype Guitar Lessons with me. We can dig into his style of playing, or we can work on shaping your own unique style of playing. Find out how my Skype Guitar Lessons work here and send me a message to tell me what you’re interested in learning. I’ll give you a good idea whether I’m the right teacher for you or not. 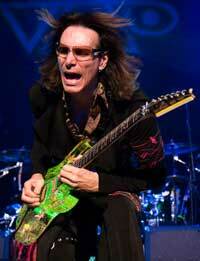 Learn how Steve Vai uses effects to shape his iconic tone. See what makes up his rig and how you can put together a similar rig to emulate his effects and tone.